From its first appearance in 1995, this book has been consistently well received by tutors and students alike. 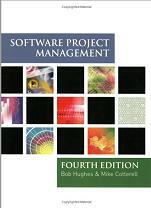 Now in its fourth edition, this textbook is highly regarded for providing a complete introduction to Software Project Management for both undergraduate and postgraduate students. The new edition retains its clear, accessible style and comprehensive coverage, plus the many examples and exercises throughout the chapters that illustrate the practical application of software project management principles. Reflecting new developments in software project management, the fourth edition has been developed to ensure that the coverage is up-to-date and contemporary. This includes new and expanded coverage of topics such as virtual teams and agile methods.